Property Location With a stay at Brayton B&B in Oshkosh, you&apos;ll be minutes from Grand Opera House and close to University of Wisconsin-Oshkosh. 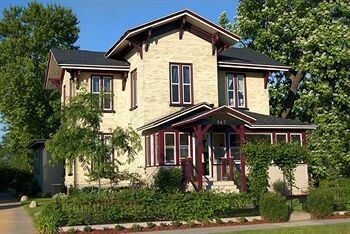 This bed & breakfast is within close proximity of Menominee Park and Oshkosh Public Museum.Rooms Make yourself at home in one of the air-conditioned rooms featuring flat-screen televisions. Wireless Internet access (surcharge) is available to keep you connected. Private bathrooms have designer toiletries and bathrobes.Dining Meet other guests and eat at a complimentary reception. A complimentary continental breakfast is included.